How to build and scale web services that people pay for. 5 years ago today, it seemed like a lot was going on on Quora. Is 3,000 Answers on Quora Enough? The other day, I passed 3,000 Answers on Quora. Along with them, 44,000,000+ views. 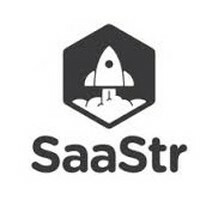 Meet a New Mentor — Mentorship at the SaaStr Big Holiday Party Th Nov 15! We’ll be doing a Big Holiday Party this Thursday November 15. We’ll have great cocktails, treats, and terrific sessions from top speakers.